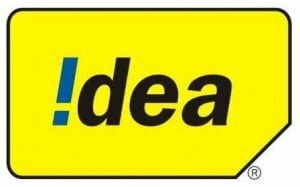 IDEA Cellular, the pan-India mobile operator and the leader in the Maharashtra and Goa telecom circle today announced yet another first-of-its-kind initiative to offer maximum benefit to its subscribers. With the new ‘Maha Recharge’, the over 90 lakhs IDEA subscribers in the state will get 100% Talktime value on every top-up recharge. As part of the offer, all Idea prepaid customers can avail ‘Maha Recharge’ benefits by simply doing a recharge of Rs. 34. ‘Maha Recharge’ will allow the user to enjoy full talktime for all the subsequent recharges of Rs. 30 and above, for a period of 30 days. This is for the first time in Maharashtra , that mobile consumers will get 100% Talktime value on every top-up recharge voucher, without being charged for administration charges or service tax. IDEA’s recharge vouchers of the denominations – Rs. 30, 50, 75, 100, 125, 150, 200 & 250 will offer full talk time, subsequent to Maha Recharge. Launching the offer, Mr. Lakshminarayana, COO, Maharashtra & Goa, IDEA Cellular With ‘Maha Recharge’, we have now gone a step forward to offer more value to our over 90 lakhs subscribers, thus ensuring complete customer delight. We are confident that the new initiative will drive usage on our network and enhance customer satisfaction in our leadership market”. I have change from BSNL to Idia thinking that ots coverage will be good as per SIRJIS”GET IDAI”Advt. its really really ghatiya ghatiya idea hai means idea doesnt work in maharastra.